Product #18380 | SKU A-E2EOSC | 0.0 (no ratings yet) Thanks for your rating! 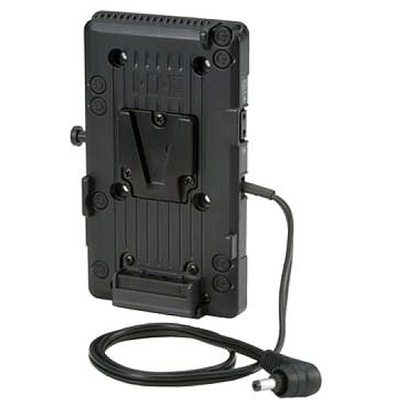 Enables any IDX ENDURA battery to power Canon C-series cameras. The IDX V-Mount Adapter Plate for Canon C100, C300, C500 enables any IDX ENDURA battery to power Canon C-series cameras. An integrated 20" DC cable plugs into the camera to power it. Two unregulated D-Tap outputs, each capable of taking a 50W load, are available for powering accessories. A suitable mounting plate, such as the IDX A-CP(A) cheese plate, is required for mounting this adapter plate onto a rig. Four M3 x 8mm screws are included for attaching to a mounting plate.